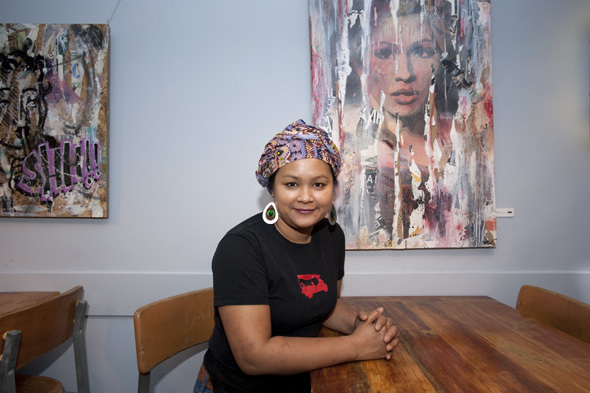 After opening her first restaurant only two years after moving to the city, chef Nuit Regular says she couldn't be more blessed. Now, she spends all her time at the always bustling Khao San Road (her husband's parents now oversee Sukhothai) where two-hour wait times aren't uncommon. 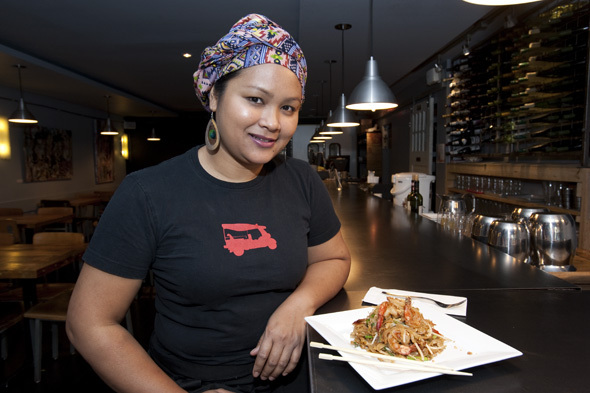 It seems Torontonians just can't get enough of her tantalizing, no-compromise Thai cooking. 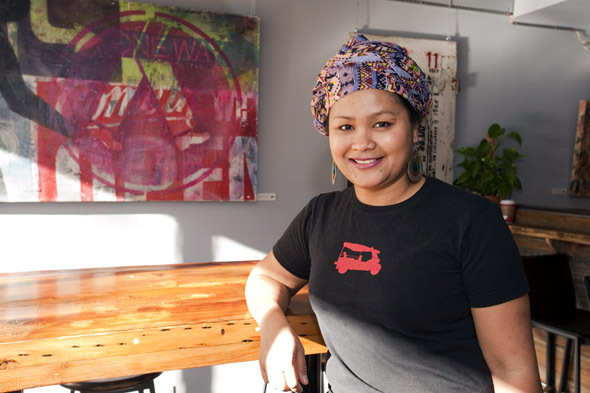 Now comes word that she's overseeing the menu at Sabai Sabai Kitchen and Bar, a restaurant slated to open soon at 225 Church Street. When I was growing up I dreamt of becoming a nurse. And I did it; I worked as a nurse in Thailand before I came to Canada. It started from the family, as everyone was expected to help cook. I grew up with my mom working in a restaurant, so I learned from her, as well as my aunt and my friends. How did you transition into working in the kitchen? Coming to Canada is like starting a new life. I thought I would come here and become a nurse, but this great opportunity presented itself. I got to open a restaurant with Jeff (her husband) and his family, people liked the food, and I enjoyed cooking and being a chef. When I was working as a nurse in Thailand, we opened a curry shack as a side job. We opened in the evenings from five to ten. My intention was wanting to do something in order to support my family before I moved. I started up the restaurant, and then my brother continued running it. What's it like running a restaurant here versus Thailand? It was a small operation there; I was the only one cooking. The restaurant only seated about 30 people, and I could take my time cooking. Of course, the ingredients were all fresh; I could just go to the market every morning. Here, I have to train a team, and there are more customers. What ingredients do you find difficult to source here? Fresh vegetables, especially something that we have on our menu: holy basil. We have to import it from Thailand. During Hurricane Sandy, we ran out of it and they couldn't ship it, so we couldn't serve a couple of dishes for a little while. Papaya and mangoes, too. Sometimes there are good ones, but if we put it on the menu all the time, I can't get the fresh ones that I really like. How do you account for the popularity of your restaurants? There are so many different ways to cook Thai food. In Thailand, we have 78 provinces, and each has a different way of cooking. I come from the northern part of Thailand, so maybe it's because of the different regions. People really love the food I grew up with; for example, khao soi. I think they've responded well because of the complexity and depth of the flavours. What's the secret to great pad thai? Love. I always say that. It's caring about how I want to present it, and for it to be the real thing. I don't want to substitute anything like ketchup just to bring out the sour or the sweetness. I'd rather use tamarind; I have to boil it, scrape it, and make a sauce, and it's so much work just for pad thai, but I said if we were going to have it, it has to be that way. And we stuck with it, even though it's expensive. You're the second female chef in our series. Do you find it difficult for female chefs to thrive in this business? I feel honoured. At the beginning, when people called me 'chef' it made me a little bit nervous because I've never been to chef's school. Most of the time I try to concentrate on what I cook, so people can recognize it and talk about it. I don't really keep up with the trends. What can you tell us about Sabai Sabai? It's a project that I'm helping out with friends of mine, and I'll be part of the menu design. Right now, it's a little bit confidential because I haven't finalized how I want it. I'd like to have the proper thing to explain to everyone so there isn't confusion. It's another challenge for me, moving from the first place to here; it'll be something different. For more chef profiles, visit our Toronto Chefs Pinterest board.